So you decided to go natural. What are you going to do with your hair? That’s the question we all ask once we give up the creamy crack. Taking care of your natural hair can be overwhelming, especially in the beginning of your journey. A wash and go (w&g) is the easiest style in the world for curly girls. It’s my “go to” style so I thought I’d share the process I use with those Sistah Queens who are beginning to go natural. Hopefully some of my more advanced curlfriends wanna share some tips of your own. Learning from each other is what it’s all about. A wash-and-go (w&g) is just what the name in implies. You wash (or co-wash) your hair and go. Simple, right? Heck naw! Nothing is that simple, especially when it comes to my hair. It will dry up into a hard and stiff. I can’t have that. Here’s what I get my curls popping in five easy steps. Next I deep condition my hair. I like to deep condition often. I don’t believe in deep conditioning too much or leaving it in too long. I do this because I have low porosity hair, which means it takes a long time for moisture to soak into my hair, but it stays in well once it actually gets in there. I’m one of those naturals who will sleep with conditioner on my head. I apply my moisturizer after my hair has been conditioned. This is just a leave-in conditioner and/or moisturizing lotion. I take my time and make sure I coat each strand making sure it stays detangled. Then I put a shower cap on my head to let it soak in for five or ten minutes. I do this because of my hair’s low porosity at well. It is imperative that my hair is moisturized. I really need to get a hair steamer. Once I feel like my tresses are moisturized from the tips to the roots, I use oils like Jamaican black castor oil (JBCO), extra virgin olive oil (EVOO), coconut oil, etc. to seal the moisture in my hair. Retaining moisture makes the style last longer and keeps my hair healthy. That’s why I never skip this step. The oils also gives my hair some sheen. I love It when it’s shiny. The fun part for me is adding the styling products. I use gels, custards or puddings. They define my hair the best by getting rid of frizz. They help my hair form tight, well-defined curls, just like when it’s soaking wet. In fact, I add my styler while my hair is soaking wet. 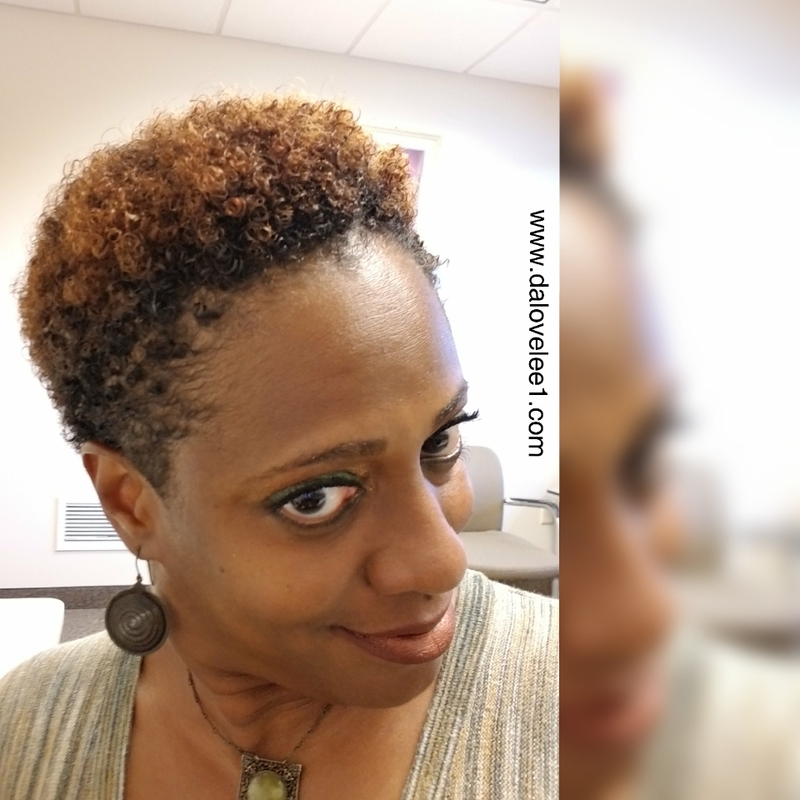 I use the shingling method (sectioning the hair into small sections and finger-raking the products through my hair while simultaneously detangling the hair). I also like to spritz my hair with water after I add the styler for more definition. I remove excess any moisture with a paper towel or microfiber towel if I overdo it. That’s all there is to it. I gently shape my curls where I want them and let my hair air dry. Sometimes I will sit under my hooded dryer or use a diffuser though. Once my hair is completely dry, I use a pick to slightly lift the roots to give my hair more volume. I’ll take my fingers to smooth individual curls as needed. I also like to use a toothbrush to smooth my edges and sides. After all that, then I’m really ready to go. Psych. I gotta put on some makeup. LBVS. What are your experiences with a wash & go?